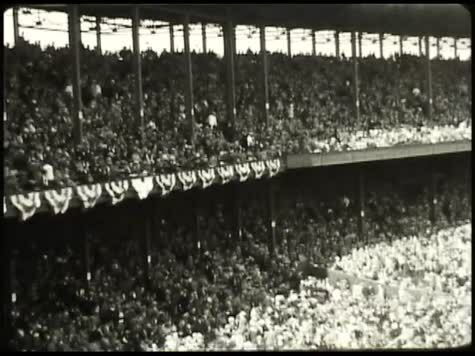 B&W home movie of a Chicago Cubs Game at Wrigley Field, followed by family and office scenes. Access Restrictions: This collection is open to on-site access. Appointments must be made with Chicago Film Archives. Due to the fragile nature of the films, only video copies will be provided for on-site viewing. ** one film Maryanne Hill's Wedding" must not be accessible for 15 years from signing the gift agreement. Nov. 27, 2010. Use Restrictions: Chicago Film Archives owns the rights to the films in this collection.